Tata Steel has announced its ambition to become a carbon neutral producer of steel to the oil and gas industry from 2050. The company revealed its ambition to the global oil and gas community at the Abu Dhabi International Petroleum Exhibition and Conference (ADIPEC), which is being held in Abu Dhabi from 12 - 15 November. Tata Steel’s vision will be to develop breakthrough technologies and nurture innovations which have the potential to change the way steel is produced for the industry. Barry Rust, Marketing Manager, Energy & Sustainability, said: “Tata Steel is already one of the world’s most CO2-efficient steel companies. During the last 30 years we have reduced our CO2 emissions per tonne by about 20% but our ambition is to continuously improve our production processes and efficiencies to become a carbon-neutral steelmaker. “The Paris Agreement, which called for average temperatures to be maintained below 2°C above pre-industrial levels, is driving CO2 reductions globally and the steelmaking industry has a collective responsibility to support this drive. At Tata Steel, we’re showing our ambition by making significant investments in innovation as part of our strategy to build a business that is sustainable in every sense. 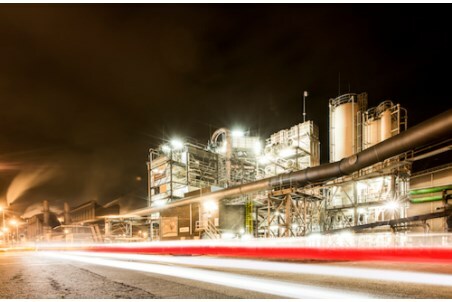 Tata Steel believes carbon capture and storage or usage, hydrogen converted from renewable energy and increased recycling through the circular economy are all key enablers to achieving its carbon neutral ambition. Hydrogen is both a carbon alternative for the steelmaking industry and can be used to help create everyday household products from the by-product gases produced during steelmaking. The company recently announced HIsarna, its ground-breaking new reactor, had exceeded expectations in sustainable steel production, with the possibility of achieving a CO2 reduction of more than 50%. HIsarna is expected to play a pivotal role in meeting the ambitions of the circular economy. BP’s Statistical Review of World Energy for 2018 revealed CO2 emissions from the Middle East for combustion related activities from oil, gas and coal last year increased overall by 2.9%, which was a reduction on the year-on-year growth of 3.6% over the previous 10 years. “Tata Steel embraces innovation and new technologies to develop high quality products and services which help our customers succeed in their markets. We work closely together with them to meet their sustainability requirements,” said Barry Rust.